I am very proficient in using (MS Word), (MS Excel), and (Adobe Acrobat) for file conversion. I am creative and fast worker. I can provide your work on time with full of accuracy 100% and can start your work immediately. I can convert your (PDF) or (Scan) document to (WORD) by manually typingConvert, retype and make your documents more presentable. Keep same layout, font style as in the documents. Please contact me before place order, if you have very critical formatting, bad quality PDF or SCANNED PDF files. Feel free to contact with me. I am always available online. i can start right now may provide you couple of hours. so please order. 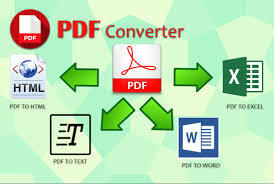 hello, i will give you convert pdf to word by typing 10 pages document . i have 12 years experience in typing, so you can feel free order me and get your complete work within your time period. no project is big or small for me. i mostly prefer the satisfaction of the employer. i work with full of patience and my responsibility starts as soon as i accept the project. hi, i am atike.i want to do this job.i can provide what you need .in fact i can start right now.